12th May marks ME Awareness Day. In particularly, the #MillionsMissing movement aims to raise awareness for M.E., an underfunded and ignored disease. Today we ask for increased government funding for research, clinical trials, medical education and public awareness. It's timely as my ME has been pretty bad recently and I've had little energy to do much at all, hence the lack of blogging. 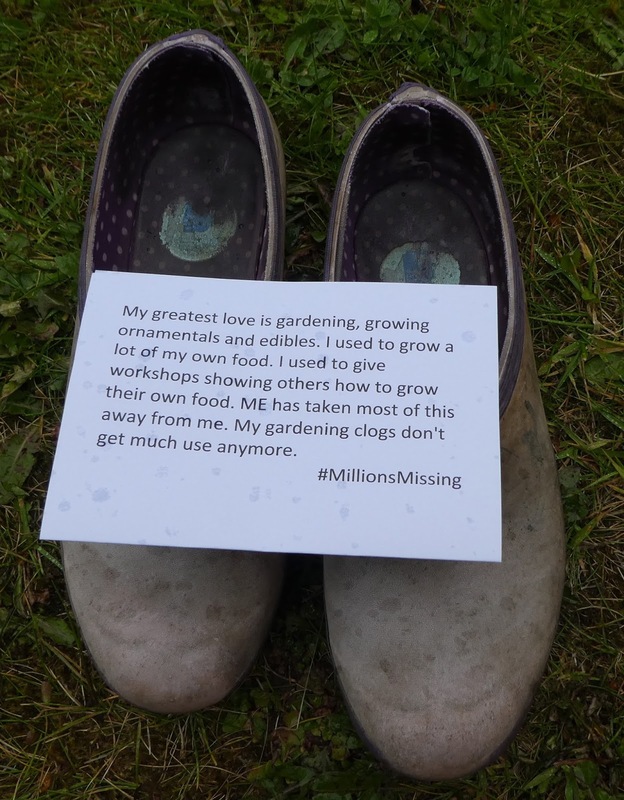 As I am not well enough to attend any actions, I'm taking part in the #MillionsMissing campaign virtually. The idea is to show a photo of some shoes, with a note that expresses a way that you are missing from the world. If you could learn one thing about ME, I urge you to read Sally Burch's post: Well enough to drink coffee? Because ME is an invisible illness, and whilst I might look normal, I'm actually constantly exhausted to the marrow, and in most days, in lots of pain.